Is Your Social Media Consultant Actually Qualified? More and more companies are realizing the importance of utilizing social media. 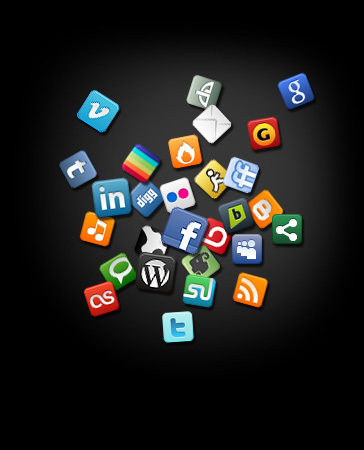 However, finding the right social media marketing consultant or expert can be a daunting task. Due to the ambiguity of social media and lack of a formal means to measure competency, it seems as though nearly anyone can call themselves a “social media guru”. However, social media is more than sending out tweets or reading blogs. How can a company find an individual who can do more with social media than connect with friends? 1. Passion: In general, you should look for an individual that has a passion for social media – they live and breathe social media and are constantly moving through different platforms. One indicator of an expert is to examine whether they are active on various platforms. Does the individual have an active Twitter account, with hundreds of followers and tweets? What about a presence on Quora or LinkedIn? Their online activity and presence will be good indicators of whether they are qualified to manage your accounts. 2. Experience: Nearly any tech-savvy applicant puts the term “social media expert” on their resume. However, a company should dig deeper to determine whether the individual possesses real experience. Look at their various social media accounts and their general online presence. In addition, companies should look into whether the individual can communicate effectively and practices appropriate etiquette. This individual may potentially represent your company; make sure that they fit all of your requirements. 3. Strategy: A social media expert should possess more than enthusiasm and a general knowledge of various platforms. Qualified social media consultants will give you a detailed, actionable plan, with goals and projected results. This strategic plan should convince you that a social media campaign is well worth the time and money. 4. Analytics: Increased followers and page views are great, but most companies will want to see numbers and measurable results. Therefore, companies should look for an individual with an analytical mindset and the ability to look at the numbers past the bells and whistles of social media. A social media consultant should provide clients with Web analytics, statistics, and metrics that demonstrate success and plans for the future. 5. Research: Does the individual spend a fair amount of time reading blogs and following trends in the industry? Are they constantly on the search for new platforms or ways to utilize social media? These characteristics can give the company an idea of whether the expert is truly dedicated in expanding his knowledge of social media. No company wants to experience the risk of trusting an unqualified individual with their reputation. However, by finding the right social media consultant, the company can trust that their social media and online presence will grow and produce measurable results. I’m a self made social media consultant myself and I do a bit of media counseling business on the side, but I have to admit that I’m still a loooooong(very long) way from becoming a guru. It’s sad but there are plenty of people who claim the status of “guru” in any aspect, not just in social media mind you, just because they think they know a little. I’m glad to hear that more and more companies are realizing the importance of utilizing social media. Social media networks are ways to inform people about your business. You can gain many customers with their help. It’s hard to look for a social media expert. Companies should read this post so they will have an idea about the criteria of a social media expert. Great post! Why are there people who proclaim their self as a social media expert? They think that they know all about it. I agree that businesses should identify first if that person is in fact an expert or just a self proclaimed expert.